Create a custom iPhone X case. Printed 180 degrees with your own photo - on the back and sides. A unique protection for your phone. A custom iPhone X case! Yes, you read that right! 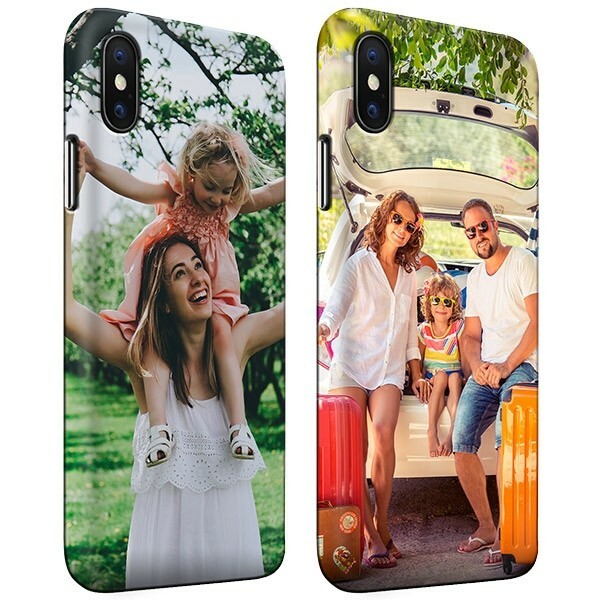 With GoCustomized, you can now make the most personalized case yet by creating it with your best and most beautiful photo. Pick an epic moment during winter sports or from a memorable summer vacation - the world is your oyster. 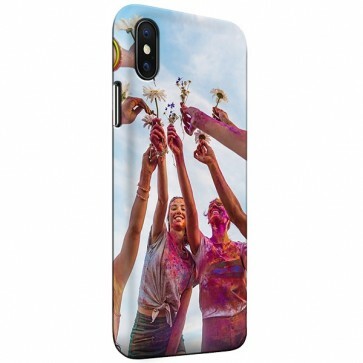 The custom iPhone X case features your design and memories on the whole phone case, so you have enough space to express yourself. 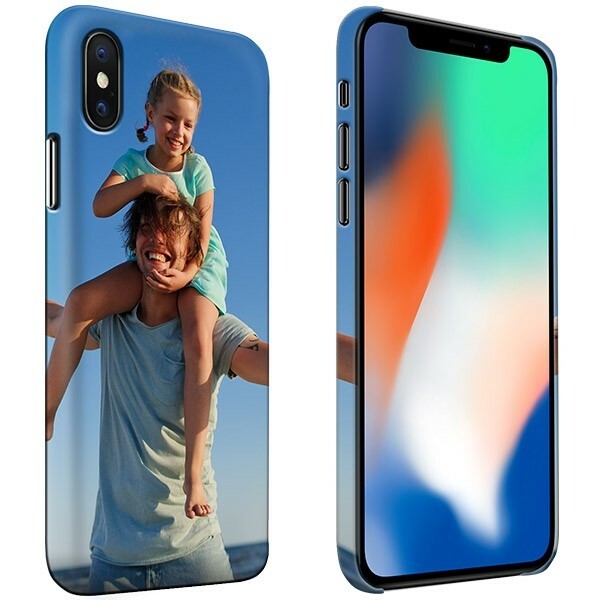 Of course, the iPhone case not only looks good, but the case will also provide good protection for your new iPhone X. Dropping it, bumping it into something, or doing something else that can damage your phone is no longer fatal for your iPhone X. With a personalized case, custom made entirely by you, you iPhone X lasts longer and is completely personalized. Create a personalized case with our ultra user-friendly design module. 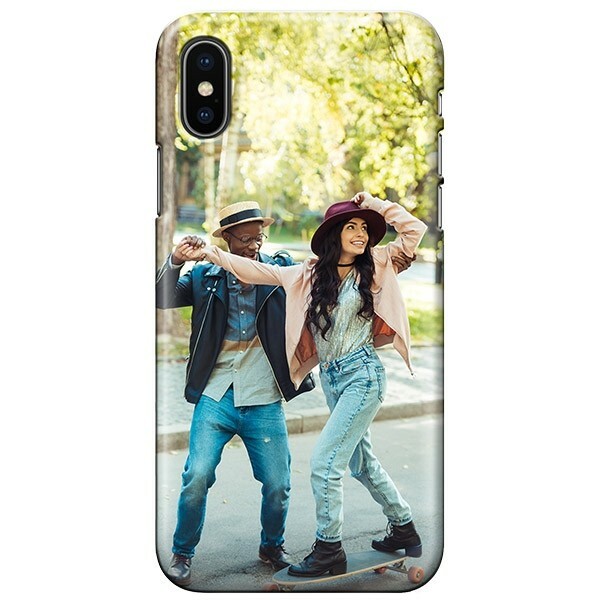 Here you can use all sorts of photos and images for the design of your own iPhone X case as well as design layouts. The process of creating a custom iPhone X case is not only simple but also fun! Experience the joy with your friends while designing and reminiscing on happy memories. You can also upload your memories from Facebook and Instagram. Your design is not limited to photos, you can upload your own design and choose various colors. When you are done creating your personalized iPhone X case, you can go ahead and order it. When we receive the order, we immediately start producing it, so that you can enjoy your personalized iPhone X case as quickly as possible. All cases are made with precision and care so that you receive your case the way you have always envisioned. Why wait? Protect your iPhone X today!